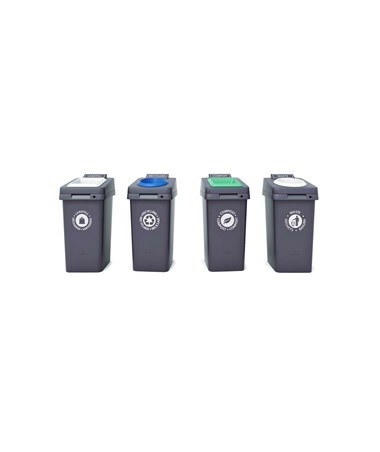 The Magnuson Group Re-Square Waste Receptacle helps maximize the sorting of waste and recyclables. It has two white labels: an English label on top and a multi-lingual label on the body for a more efficient management of waste. 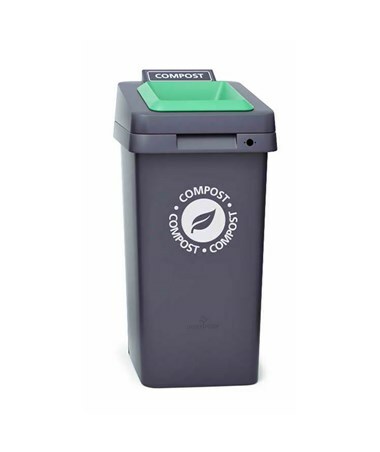 Made of durable plastic, this outdoor waste receptacle is great for parks, building entryways, and café areas. The Magnuson Group Re-Square comes with a grey body, a hinged lid on top, and a bag holder. A lock with key can be purchased separately for added security. 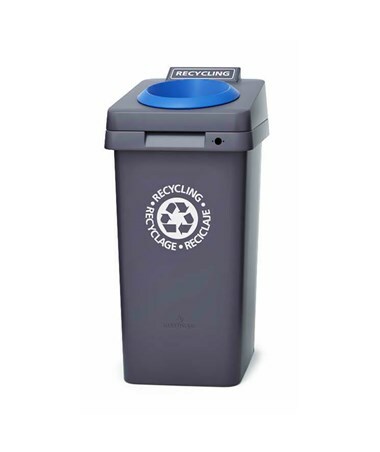 In addition, this waste receptacle can be ballasted to the ground with a sandbag if desired. The Re-Square measures 19”W x 20 3/8”D x 39 ¼”H. It weighs 25 lbs. and has a 36-gallon capacity. It is also covered by a two-year warranty. 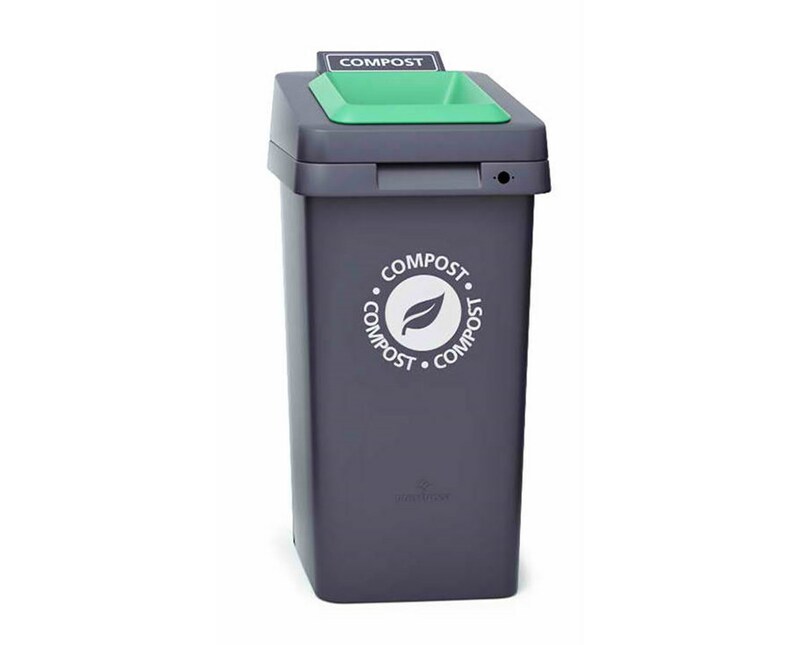 The Magnuson Group Re-Square Waste Receptacle comes in different top openings, lid colors, top labels, and multi-lingual labels. Kindly select your preference from the menus above.